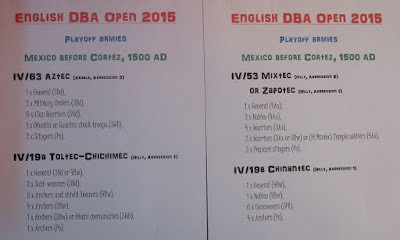 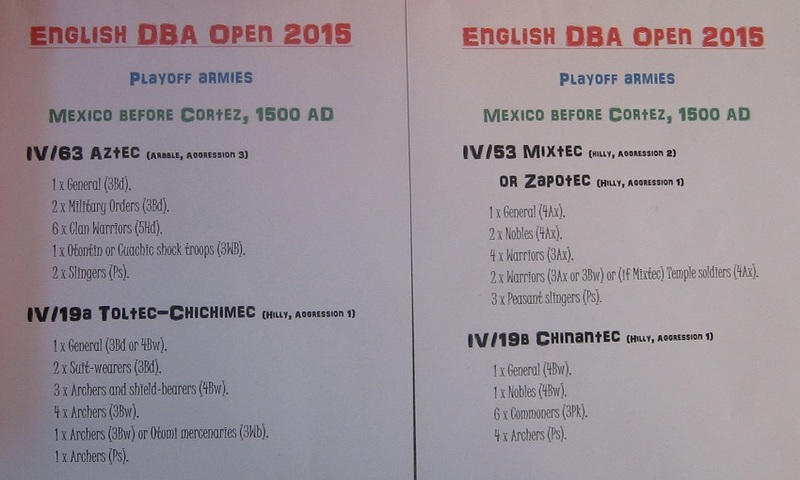 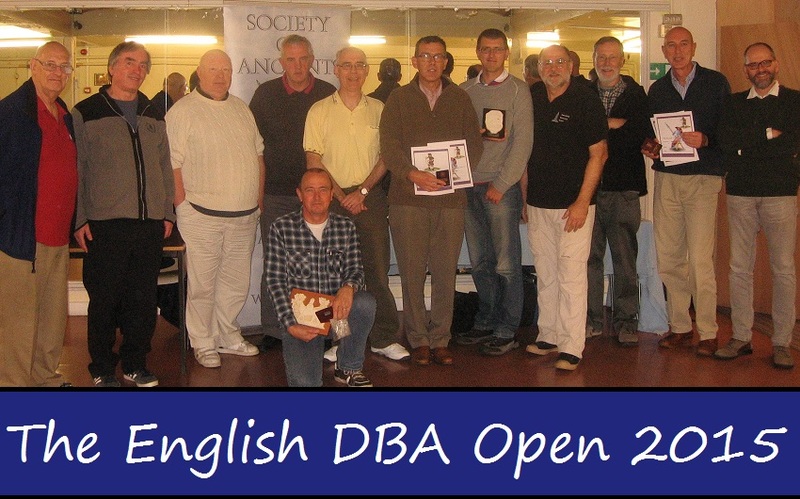 Many thanks to the Portsmouth and Allied Wargames Society for organising and hosting the English DBA Open and running the UK DBA League which has the event as its final 2014/2015 round. 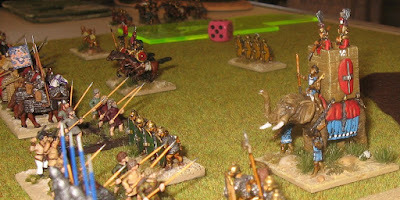 I confess the army lost more than it won but we all had an enjoyable day ... being an Open event, it got to fight an outlandish array of opponents ... from Hittites and Koreans to Renaissance Italians ... standing up now to chariots, now to bombards and eventually been skewered by plate armoured horsemen with heavy jousting lances. Mules indeed! 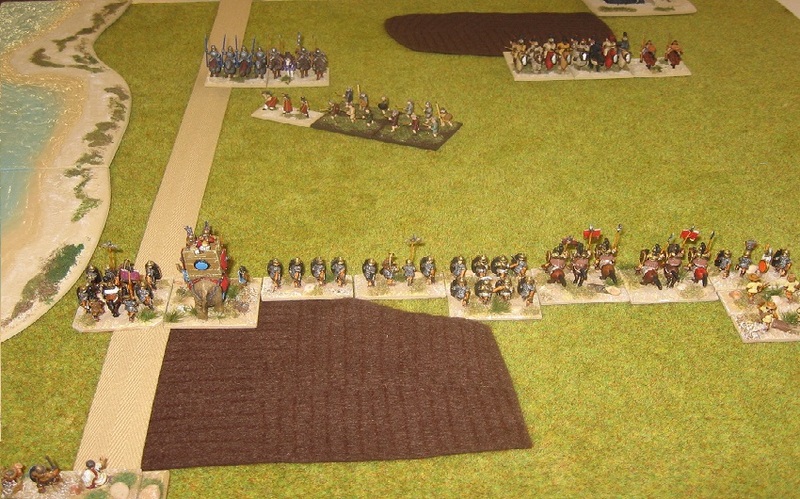 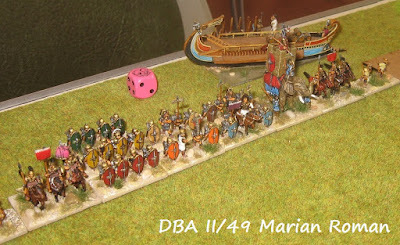 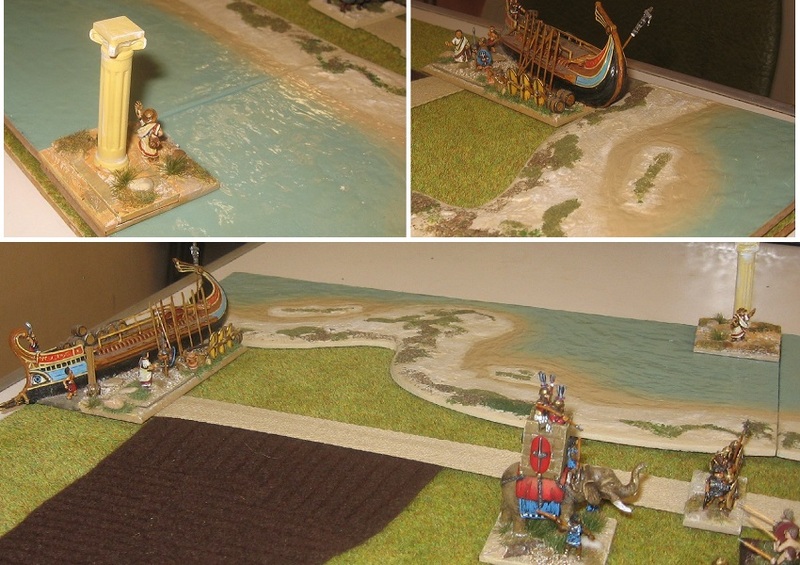 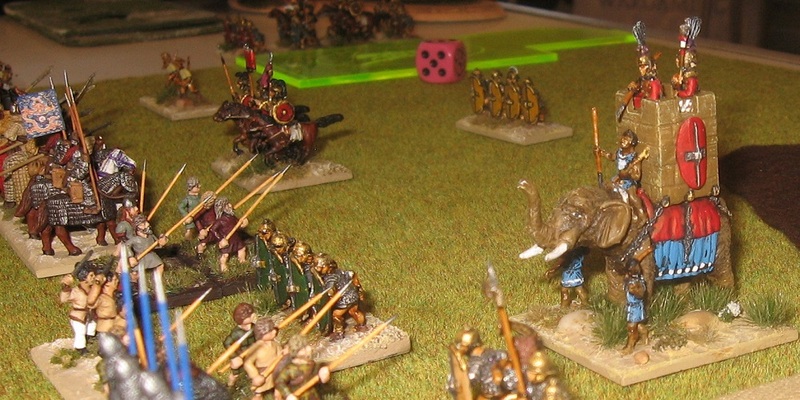 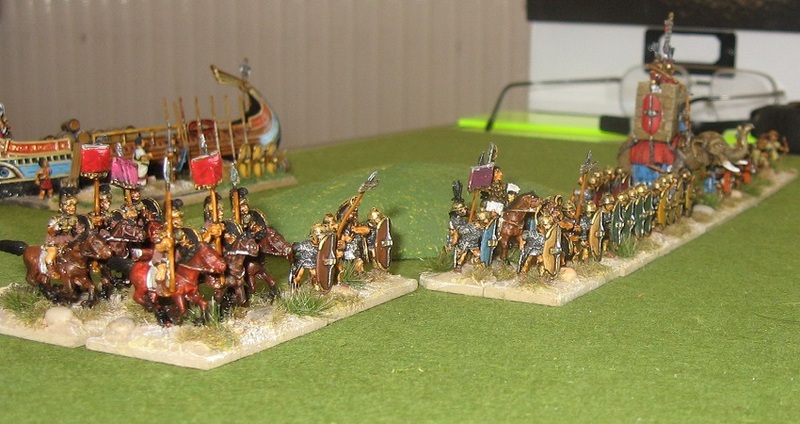 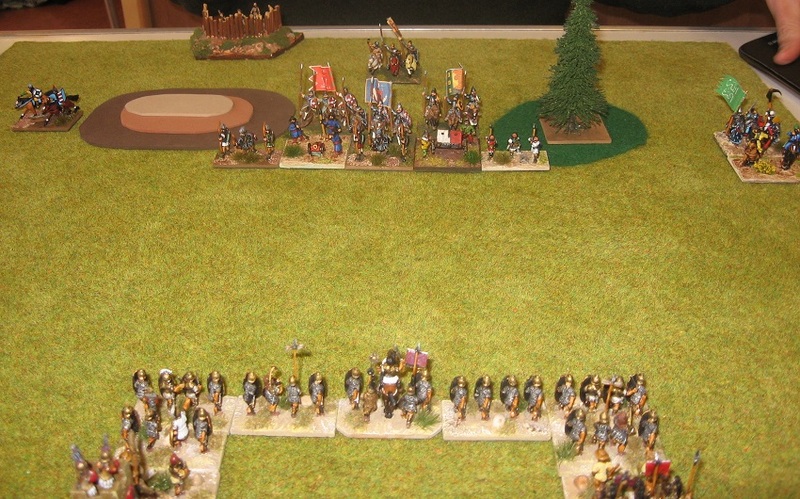 Colin the Korean had brought along and played a very nice waterway which was a good match to my basing - and I have used a beached bireme as my camp for the Romans (not because the Romans can do littoral landings - though if they couldn't then who on earth could? 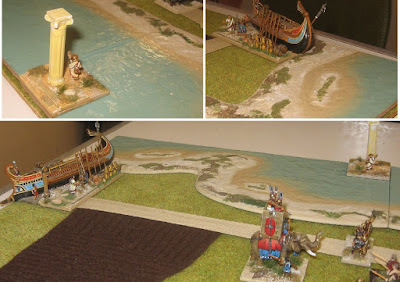 - but because if you recall that bit in the Kubric film, Crassus bought all the ships so Spartacus couldn't sail away to Thrace ... or something like that) ... so I trust you'll indulge an extra picture or two. 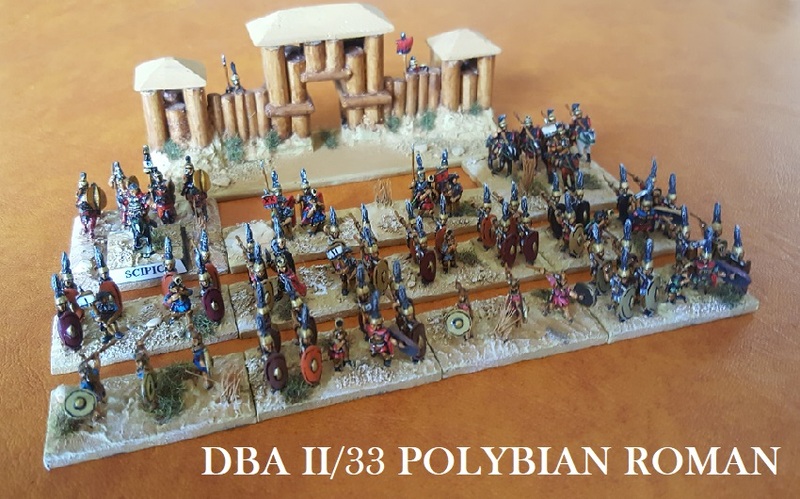 OK ... the armies used (or, more properly as noted by Martin ... ) were: Feudal English; Early Neo-Babylonian; Hittite Empire; Alan; Koguryo Korean; Teutonic Order; Serbian Empire; Venetian Condotta + Genoese allies; Marian Roman; Early Imperial Roman; French Ordonnance; North Welsh + Feudal English ally. Many thanks to everyone involved. 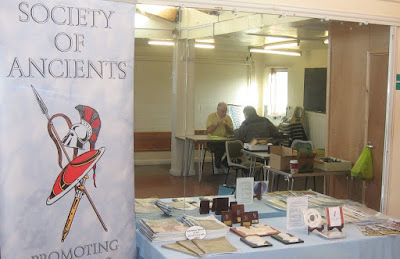 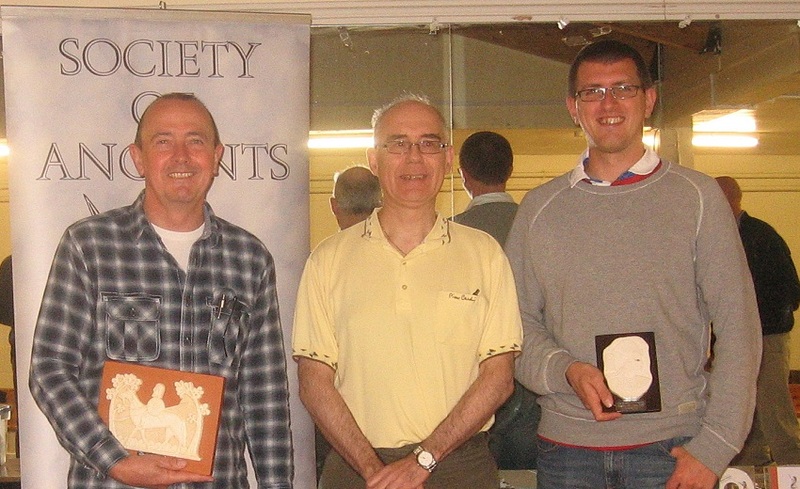 Thanks to the Society of Ancients for continuing to support the project and thanks to Paws for running it all. 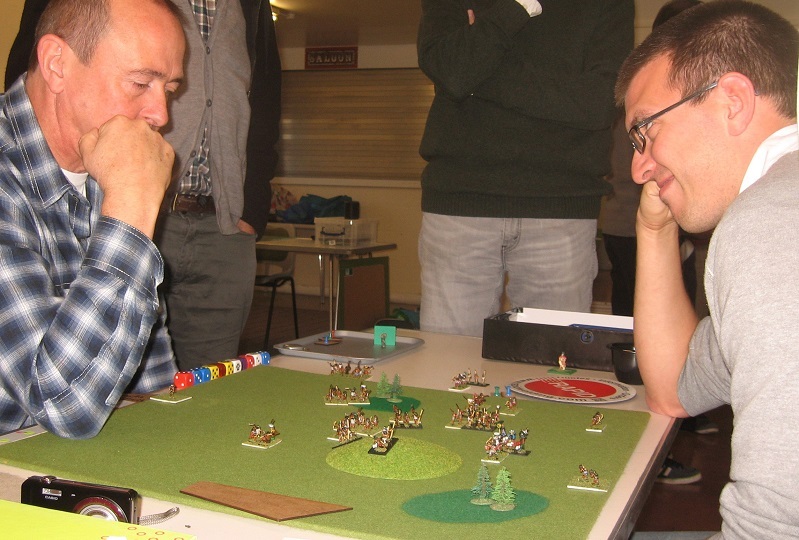 A new League year starts in Market Harborough in 3 weeks time. 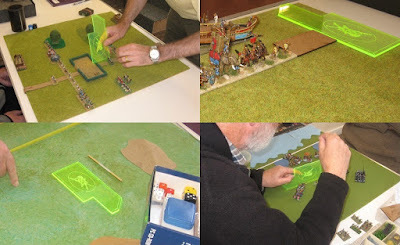 I will be back on the road with a 50th anniversary flats game at Warfare. 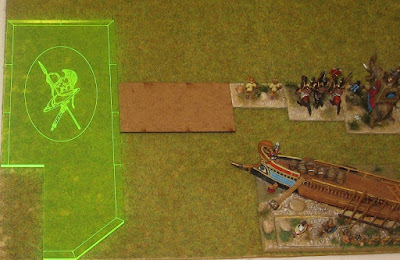 The Romans look very fine, with an impressive threat zone device to boot. As to the waterway it is very striking! Here was me rather pleased with my own, but Colin has taken terrain to a new level. 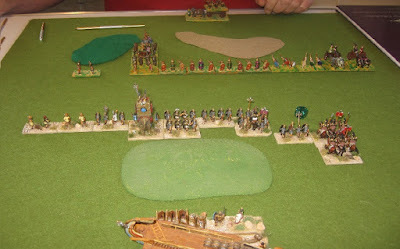 Excellent blog post as always, Phil. 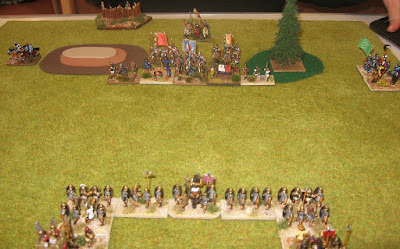 Fine photo's and commentary. 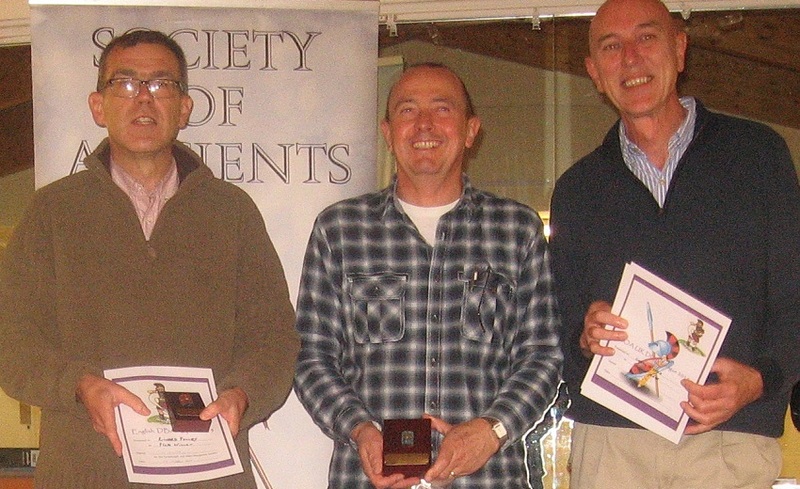 Many thanks for organising the SoA widgets - very handy, and nicely made, too.